Terence Crawford has yet to be beaten in the pro ranks. 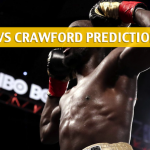 In 34 bouts, Crawford has emerged with his record unscathed. 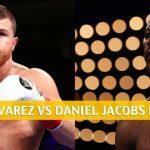 He will put that clean record along with his WBO welterweight belt on the line this coming Saturday in a marquee matchup with former champion Amir Khan. Does Khan stand a chance? Will he become the first man to beat Crawford? Or will Crawford add Khan to his growing list of victims? Khan (33-4-0) is inching towards a redemption. 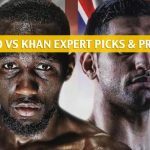 After losing in a middleweight title fight to Canelo Alvarez in 2016 via a sixth-round knockout, Khan has stitched together two-straight wins to build his confidence – and marketability – back again. 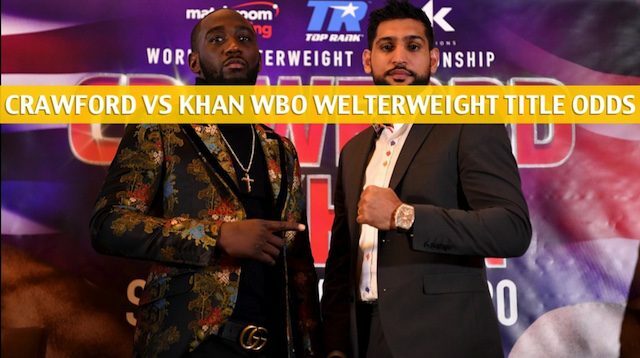 Khan took the entire 2017 off and went back to the ring in 2018, racking up a TKO win over Phil Lo Greco in Liverpool in April then scored a unanimous decision over Samuel Vargas in Birmingham in September. Although he’s the underdog in the upcoming showdown with Crawford, Khan isn’t deterred by the towering glow of his next opponent. After all, Khan has seen top competition throughout his professional career. He’s been inside the ring with the likes of Danny Garcia, Zab Judah, Marcos Maidana, Paulie Malignaggi, and Marco Antonio Barrera. Khan is a power puncher with 20 of his 33 wins coming via knockouts, and that’s something that’s well known. One thing that isn’t however, is that he’s been undefeated when matched up against a southpaw. That’s worth keeping in mind heading into his bout with the southpaw Crawford. Crawford (34-0-0) maintained his immaculate record after recording a TKO victory last October in Omaha against Jose Benavidez Jr. In doing so, Crawford also successfully defended his welterweight title. Crawford peppered Benavidez with a flurry of shots to the head and body, causing the latter to be tentative all fight long. 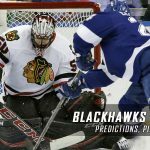 It also underlined Crawford’s ability and patience to find angles and capitalize on opportunities when they present themselves. It’s that kind of adaptability that makes Crawford even harder to beat and figure out for opposing boxers. 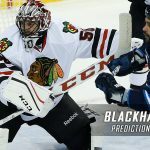 While listed as a southpaw, Crawford can comfortably shift his stance from southpaw to orthodox, depending on the situation. 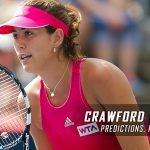 Given Khan’s success against lefties, as mentioned earlier, expect Crawford to try to confuse Khan by sliding back and forth in his choice of stances. And like Khan, Crawford also packs serious power in his punches. He has 25 knockout wins for a 74 percent knockout rate. Khan has often been described as having a glass chin, and Crawford is one dangerous fighter to test that seemingly susceptible jaw with. Crawford knocks out Khan in the seventh round.